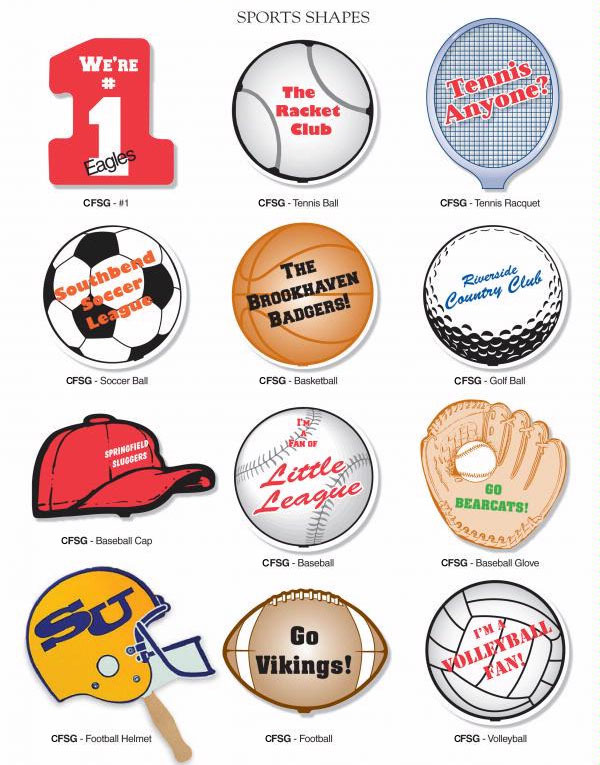 Support your local sports team and schools with custom printed sported hand fans. People love to show their support for their favorite teams and support those who share their interest. So why not promote your business and get noticed by hundreds of fans, by printing your logo or business name on a promotional sports hand fan. Choose from a wide variety of shapes and animals like basketballs, footballs, baseballs, bears, bulldogs, and eagles. You can create a custom printed sports hand fan for a low price and get noticed by the community that supports you. Sports hand fans are great for schools, sporting events, and much more! 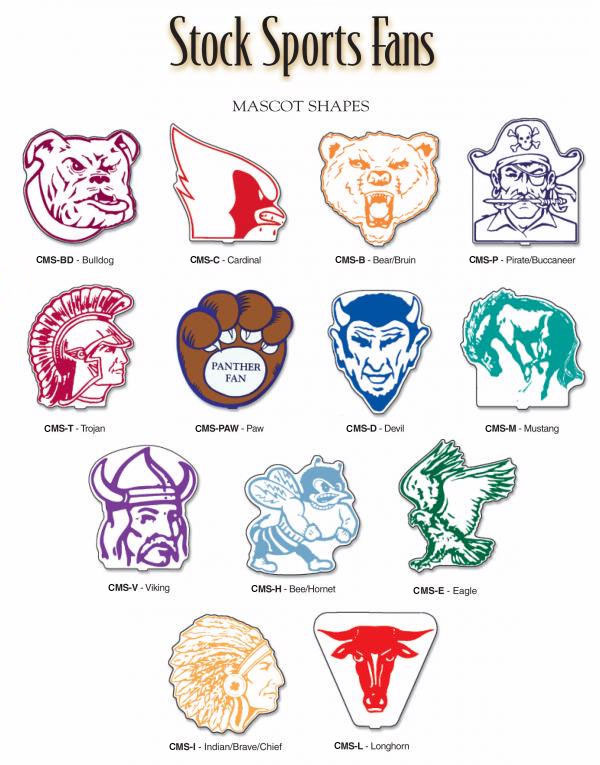 SHow off your school spirit with custom printed sports hand fans! Available in many styles, our custom printed sports fans are perfect for any sporting event! Price includes our stock graphics in one color and your one color imprint. Fans are 18-point board, coated on one side. Imprint Area will vary, depending on the shape of the fan. SPECIFY SHAPE ON ORDER. If imprinting on back, allow 1 1/4" x 4" open area at bottom center for handle placement. Promotional sports hand fans not for you or your business? We have a wide selection of hand fans that ideal for any number of different situations. Contact us if you are interested in a custom printed hand fan but not sure what you want, maybe we can help you find one.